Provides hand protection and warmth during cold temperatures. 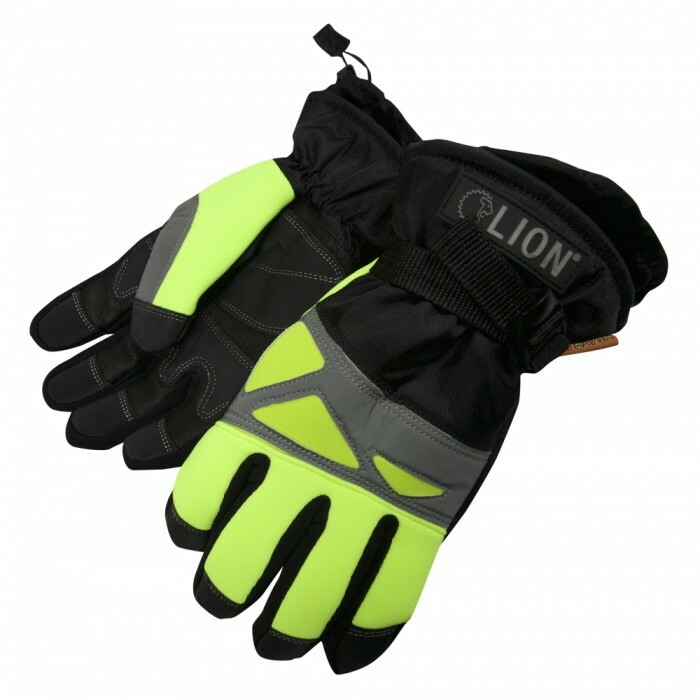 ✔ "Hi-Vis" lime-yellow on back of hand and reflective accents provide high visibility. ✔ Thermal liner and waterproof membrane keep warmth in and water out. ✔ Gauntlet style wrist with take up strap and additional cuff toggle closure. ✔ Synthetic leather palm with wear patches on palm and finger-tips for extended wear.